The success of Dario Argento’s The Bird with the Crystal Plumage ushered in a host of imitators, seeking to capitalise on this new, modern take on the giallo thriller. Many were highly derivative, but a number nonetheless rose above the crowd thanks to skilful execution and a willingness to experiment stylistically. Once such example is The Fifth Cord - which, in the hands of director Luigi Bazzoni (The Possessed, Footprints on the Moon), turns a conventional premise into a visually stunning exploration of alienation and isolation. 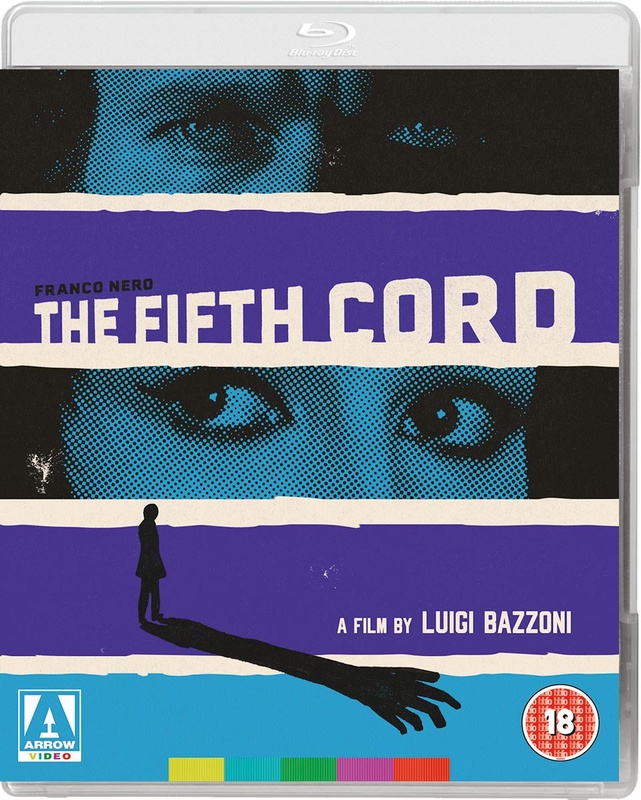 Adapted from a novel by David McDonald Devine, The Fifth Cord boasts a complex, Agatha Christie-esque plot, outstanding cinematography courtesy of future Oscar-winner Vittorio Storaro (Apocalypse Now) and supporting appearances by a raft of genre stalwarts, including Silvia Monti (A Lizard in a Woman’s Skin), Edmund Purdom (Nightmare City) and Rossella Falk (Sleepless). Debuting here in high definition, arguably the most visually stunning giallo ever made now shines like never before. Brand new 2K transfer plus tons of bonus features are loaded onto this blu-ray release from Arrow Video.